Just some of the team that helped Milawa win the 2015 Primary School Challenge. 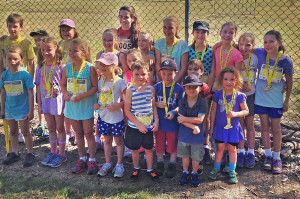 By now you may have heard that we have been announced as the winners of 2015 Wangaratta Marathon Primary School Challenge. We had a total of 45 finishers a from a total school population of just 64, which gave us a whopping total of 80 points! Congratulations to all the students that took part in the event and a huge thank you to all the parents, carers and staff for their efforts. It was a great team effort! 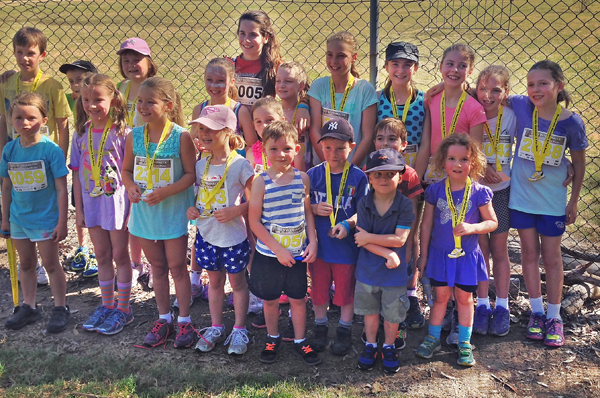 Congratulations to Claire Box and Sam Cutler for their outstanding individual efforts at the fun run. Claire finish first in the girls under 7 category with a time of 10:53 whilst Sam finished 2nd in the boys category. Well done to you both. At this stage there will be a special presentation assembly at school on Wednesday March 18th at 9:00am where we will receive a trophy and $1000.